Average whole fish size 2 to 3 kg. As close to Wild Salmon as you can get. 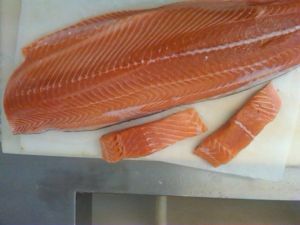 The King of Farmed Salmon, in the early season the fish are around 2-3 kilo but do get bigger as the year goes on up to 5 kilo per fish.